With all the pressure, stated and unstated, applied and presumed, forced or understood, to reduce costs at the fleet level, is there an opportunity to improve operational results through the proactive management of risk? The answer is yes, provided a top down commitment is made to recognize the opportunity, embrace the patience necessary to achieve long-term results, and leverage the strength that principled accountability can bring at all levels. This article will offer clarity in the direction that firms with a strong safety culture practice to their financial and operational benefit. In addition, steps will be offered for consideration if improvement opportunities are present in your safety culture. The truth is, whether you operate a fleet to support your core business, or your fleet is your core business, each day, in fact each trip, is an activity fraught with risk. In today’s vernacular, the term “risk” is typically associated with insurance, loss prevention, and safety; all of which are commonly rolled into the umbrella term “risk management.” In truth, as operations managers recognize all too well, managing risk applies to all facets of their business and goes far beyond the limits typically associated with risk management. The rapid pace and exponential rate of change in fleet management has been a constant trend for over two decades and is expected to continue unabated for many years to come. While assuring that excitement, challenge, creativity, and adaptability are routine success factors in the fleet management profession, the evolution of a fleet manager’s role itself has morphed into a corporate role that scares some, and terrifies others. Regardless of purpose, the challenge to squeeze out as much value, investment return, productivity, and profit is a constant for any fleet operation, regardless of the barrage of factors seeking to derail those efforts. Many fleet-related changes and cost increases originate from external sources over which the fleet owner/operator has little or no control. For instance, controlling total cost of vehicle ownership (TCO) is constantly undermined by external factors such as mandated emissions controls that continue to evolve, driving up vehicle acquisition and maintenance costs. The escalation of raw rubber prices in the Far East results in spiking tire prices. Low fuel prices are certainly welcome but most fleet operators consider them temporary. The shortage of quality drivers has recurred. Given the positive state of the economy, the continued pressure on high school students to seek higher education rather than skilled employment, and the upward pressure on wages caused by almost full employment nationwide will exacerbate the driver shortage and drive up wages in that segment as well. New terms such as the Internet of Things (IoT), Software as a Service (SaaS) and Business to Business (B2B) are examples of new buzzwords revealing how technology is dominating our personal and business cultures. In the fleet world, the advent of telematics and electronic logging devices have the potential to improve productivity and cost control, provided we can access, source, interpret, and exploit the data coming from those devices in ways that result in beneficial action while assuring management continues to focus the right amount of energy on the true assets of their business, their employees. Can the costs associated with risk management, safety, physical damage, liability, employee injuries, litigation, or insurance be controlled or reduced? Examples abound where corporations of all sizes successfully hold themselves and their employees accountable to a higher standard through the establishment of a proactive safety culture that, while recognizing things happen, improve their outcomes using the steps outlined below. A holistic approach to safety involves four key elements, background qualification, quality training, accountability, and corporate follow-up. Recognizing these four elements, successful corporations select the best elements of the many competing strategies crafting an effective program tailored for their own specific requirements. These four elements, while individually effective, if used together will knit a fleet’s safety program into an effective system of ongoing monitoring and accountability that is easily implemented and surprisingly cost effective. The first line of defense occurs in the hiring process. Thorough background checks including motor vehicle record (MVR) checking is a step most do routinely as a human resource function. Driving position screening criteria is different and if human resources is tasked with that responsibility they should have clarity on which of the criteria represents applicant disqualification. Once the hiring process is completed, a standard and constant MVR rechecking process must be in place, at least annually, to monitor the performance of the driving population. Without constant monitoring an employer may not learn an employee suffered a disqualifying driving incident on their personal time until its too late. The 1986 Commercial Motor Vehicle Act requires drivers to self-report a conviction for any traffic violation (except parking) to their employer within 30 days of the conviction. For driving positions requiring a commercial driver’s license (CDL), a further critical component is the driver’s self-regulation responsibility to assure their medical cards are current. Who, in your company, is monitoring this? The use of third party resources for MVR monitoring (Employer Notification Systems, ENS) is common practice. Guidance issued in 2015 by the Federal Motor Carrier Safety Administration (FMCSA) affirmed that ENS satisfies their requirement (49 CFR 391.25) for annual MVR checks. But in truth, more frequent MVR checks are recommended. The new FMCSA rule pertaining to entry level CDL driver training requirements makes MVR monitoring even more important. Employers should ask themselves, can they depend on the integrity of their driver population to assure all violations are properly self-reported? 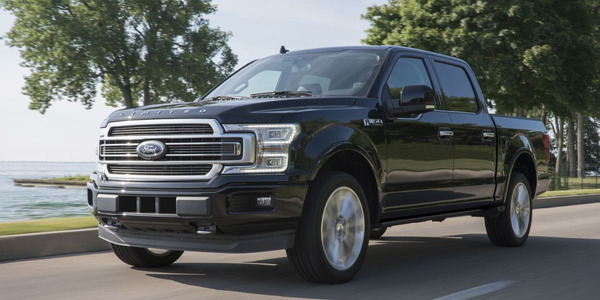 Across all vehicle types, suspended drivers have a crash rate that is 14 times higher than other drivers, according to the National Safety Council. If senior managers really want to sleep at night, a real time, automatic notification system of driver violations and license status changes must be the foundation component of any motor vehicle safety program. 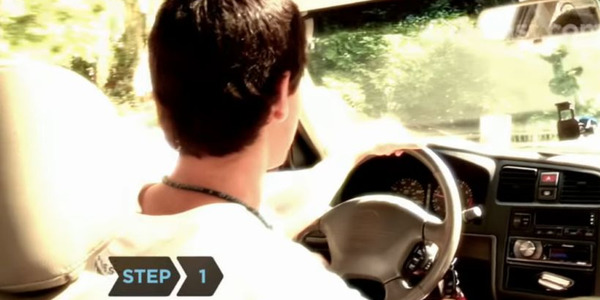 There are many high-quality driver training resources, offered both on-line and on-site. Let’s agree that every driver is confident in his/her driving ability; they seldom, if ever, feel they need improvement. Most drivers are wrong about this. Training is a critical element in any robust safety program. Training demonstrates a commitment to improvement and an interest in employee wellbeing and represents a company’s best method of reinforcing their safety imperatives and vision. Fleets should seek training resources relevant to their driving conditions and more importantly, that are of high quality and interesting to them. Use your own drivers to screen, evaluate and select training programs. Doing so will assure relevance and greater acceptance by the targeted population at large. Drivers will not be enthusiastic about any training requirement. Having a program selected by your drivers will add validity and substance to your program. Many third-party firms engaged in driver safety and training can review and develop a risk assessment by reviewing loss history, driver MVR’s and other company records. From this overview or profile, they can tailor a training program focused on the needs they identify, addressing individual driver behavior modification needs or skills enhancements as disclosed by that assessment. For instance, if the assessment discloses drivers with speeding, space management, or aggressive driving issues, training programs can be tailored for those specific drivers addressing those concerns specifically. This tool avoids presenting “required” training to drivers who may not have these specific issues. By using these services to their potential, drivers who present the greatest risk to their employers are targeted for training in their specific areas of weakness. By targeting your training, your investment in these programs is directed toward exceptions, rather than training your entire staff in areas in which they may be proficient already. Now that you are constantly monitoring MVR’s and engaging in targeted training where it’s needed, how will you know if your efforts are paying dividends? There are excellent programs that provide assistance after a crash; most fleets will agree those programs, as good as they may be, are too late. As fleet/safety managers, your goal should be to prevent crashes, assuring your drivers are behaving properly behind the wheel. The best way to know for sure is to monitor driver behavior while they are driving. Two excellent accountability resources to monitor driving behavior are telematics solutions and in-vehicle camera systems. These can be employed together or independently depending on your specific requirements. Telematics, while still a maturing technology, is and will continue to become, an excellent accountability tool for fleets. In addition to monitoring driver behavior, telematics can be cost justified utilizing other elements of telemetry data to control the costly element of engine idling time or to optimize routing. As the technology migrates from 2G to 3G and more data becomes available through the J1939 and J1708 connectors, telematics will become an invaluable tool far beyond the safety and fuel management aspects they currently are. Two-way communication and in-depth vehicle performance data facilitating predictive maintenance are enhancements adding more value to this tool. 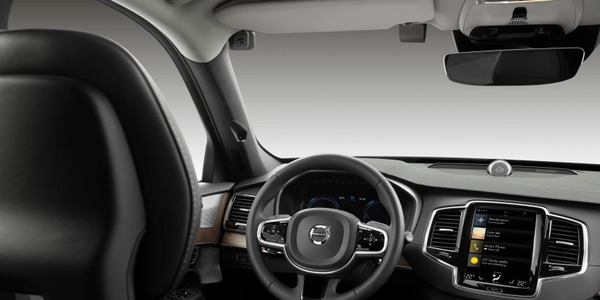 Camera systems are safety enhancements that can augment driver accountability measures by assisting in assigning accident causation, incident reconstruction and investigation as liability is measured and assigned. There is no substitute for the “real thing,” a video of what happened. Camera systems remove uncertainty and focus accountability directly on the issue or causal nature of accidents or incidents by providing real-time, real-life evidence of what occurred. From personal experience, cameras do more to focus and document accountability for incidents not caused by drivers’ misbehavior. They protect against liability and directed damage and liability costs to third-party actors in ways that could not have been clearly documented without video evidence. The official U.S. Government website, Distraction.gov states: The best way to end distracted driving is to educate all Americans about the danger it poses. This is incorrect in my opinion. 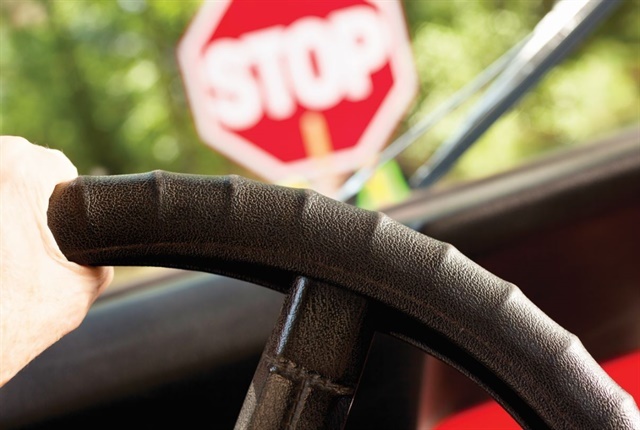 Every driver is aware of the dangers, but they continue those unsafe practices anyway. If your firm has a written policy pertaining to cell phone use and/or distracted driving and your vehicles are not equipped with driver facing cameras, how can that policy be enforced? Two in-house steps, the establishment of an accident review committee and a driver incentive program should be considered. Neither is costly but can have an indelible impact on your safety program. An accident review committee is yet another accountability measure affording your drivers due process in the event of a crash or incident. Further, it may reveal opportunities that require further study, action or training. There are several internet resources on how to set up such a committee; it’s easily established and managed. The FAST Act may encourage the adoption of such committees as the treatment of preventable accidents may require better documentation and evidence of the adoption of preventive and punitive action as a result. According the National Safety Council, 97% of all crashes are preventable. An accident review committee must have teeth, be consistent, and independent. The importance of management follow-through, either positively or negatively, cannot be ignored. When the term accountability is used, it generally is presumed to represent the negative connotation of employee discipline. A driver incentive program is inexpensive and represents a positive accountability measure as it rewards drivers for their best performance. Such a program can be engaged using in-house resources such as telematics or fuel usage data or it can utilize commercially available tools now widely available. In today’s world, fleets can purchase inexpensive on-board systems that monitor and rank drivers automatically. Peer pressure may be the most effective way to motivate employees. No one in their peer group wants to be at the bottom of a performance ranking list. A bulletin board, website, or newsletter posting of driver rankings based on their own performance will promote the self-correction of bad behaviors while providing positive recognition for your top performers. Low-ranking drivers may not appreciate the notoriety, but isn’t that the point? I have established a driver incentive program around safe and efficient driving practices. It was funded from the fuel savings generated by the program itself making it budget neutral. That program resulted in a reduction of preventable accidents by 22% and the damage costs incurred from the crashes that did occur were less severe, lowering repair costs by 35%. This occurred in a fleet of 2,800 units. A key element in all these programs is researching the market thoroughly to select safety partners who share your vision for improvement. The convergence of data is a constant issue for managers at all levels today. Proficiency in the use of tools such as exception reporting, data filters, and data queries will help, but fleets should seek partners less enamored with the data they produce and more interested in the data the client needs to manage their specific risk. This holistic approach to safety will incorporate these tools effectively. It may seem like the laundry list of resources is vast, making the costs of these services out of reach. But, in reality, the costs of these programs are reasonable and can be bundled together for additional savings. To achieve further cost reductions, Fleets should consider enlisting their insurance carriers in these efforts. Insurance carriers are equally interested in mitigating risk and will likely reward fleets for taking a more robust safety posture by reducing premiums and providing other incentives unavailable to firms with less interest in safety. A robust safety culture begins by building a program from the ground up. Many fleets may have some of these elements in place today but may not have linked them into that culture due to silos of responsibility or other reasons. A culture of safety, while assuredly a company-wide effort, must be “owned” by one department that manages and is held accountable for the program itself. Every corporation, large and small, adopts a safety culture that parallels its tolerance for risk. Even corporations that fail to consider risk in their business plan adopt a safety culture by default, albeit an absent one. The question every CEO should consider is whether they want to sleep at night; or better yet, should my corporation be a good corporate citizen? Risk tolerance variables reflect the mindset of senior management, most of whom appreciate and understand the benefits of an aggressive safety culture. Some unfortunately do not. Lost in translation however is the “strategic” aspect of that imperative; the strategy is often lost either in discussions about the cost of safety programs or confusion about how best to adopt and implement a strategy that matches their cultural imperative. Although every safety program has a cost, managers have a choice. 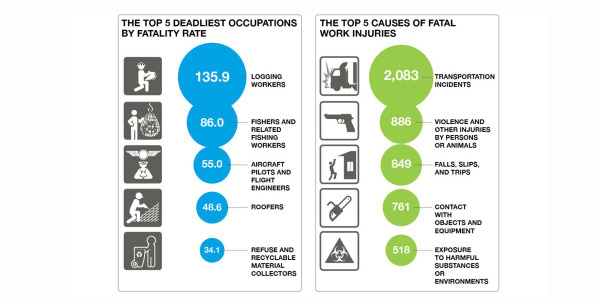 They can consider safety a cost, or, as the successful firms do, they consider safety an investment in their future. Regardless of where safety lies on the tolerance scale at each firm, it seems that today, safety is receiving a higher profile and more attention. Senior and operating managers comprehend the costs of risk and seek to mitigate it but are finding that moving the needle is difficult. They desire a culture that elevates safety performance that positively modifies employee behavior toward safe practices while embedding a consciousness among their employees of the importance of their own safety and that of their co-workers. Recognition and adoption of this safety culture is particularly needed among company drivers who operate independently outside of ongoing oversight and supervision. Fleet, risk, safety and senior managers understand the positive impact accident reduction has on their operating costs, total ownership costs and employee productivity. As such, they seek the best “strategic imperative.” When it comes to safety, managers often don’t know what they don’t know. When considering safety measures, it’s easy to get sidetracked over return on investment confusion or on safety’s perceived lack of cost viability. Accepting that a shift toward a more aggressive safety posture will not yield immediate positive quarterly or annual operating results is often counterintuitive to executives who live and die by the calendar quarter. Such a shift requires wisdom and patience. Playing the “long game” demands the recognition that effective safe practices will pay off, just not in the short term. In today’s world, qualified drivers (and technicians) are an increasingly scarce commodity. Studies report the cost of driver turnover can range from $2,000 - $9,000. Although employee recruiting and retention are increasingly appreciated, unfortunately, employee accountability is a key but often missing performance element in a safety program. With a scarce pool to draw from, the quality of drivers (and technicians) is more important than ever. Instilling a robust attitude of safety within the employees selected from that pool requires vision and commitment beginning in the onboarding process and continually reinforced as a cultural imperative. The FAST (Fixing America’s Surface Transportation) Act was passed by Congress and signed by President Barack Obama on Dec. 4, 2015. The FAST Act authorized $305 billion through fiscal years 2016 and 2020 for highway, highway and motor vehicle safety, public transportation, motor carrier safety, hazardous materials safety, rail, and research technology and statistics programs. The Act will help ensure transportation projects are delivered in a timely manner. In today’s marketplace, a plethora of high quality third-party safety offerings are available. Companies with a clear vision for enhancing their safety cultures recognize the importance of a holistic approach to safety. Many in the marketplace are beginning to recognize the value of this approach. Some training firms have partnered with telematics providers as they understand the value of accountability and how telematics data can validate their training programs. There is future benefit for training firms to take the next step by adding camera systems; hopefully a step soon to be taken by those firms proactive enough to recognize the value of real time visual data. The driver remains the single most important element in crash prevention. As employers, we owe them the best tools available to assure their success. The tools are there; we just need to use them. 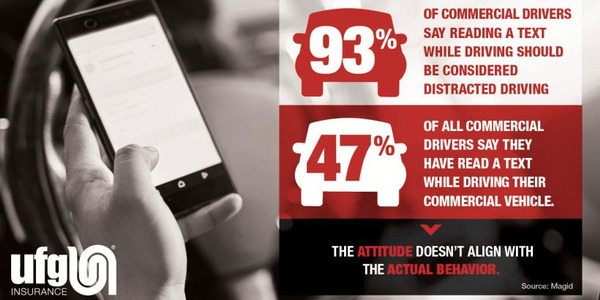 More than 90% of commercial drivers believe that reading a text while behind the wheel of their company vehicle is considered distracted driving, yet nearly half of those drivers say they have done it. 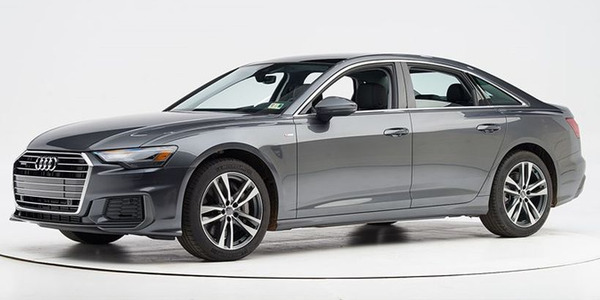 Two of Audi's 2019 vehicles, including its next-generation A6 midsize sedan and Q8 flagship crossover, have earned recognition from the Insurance Institute for Highway Safety as top safety picks when equipped with specific headlights. Regular monitoring of drivers' motor vehicle records help fleets further reduce accident risk. Here's how to do it. 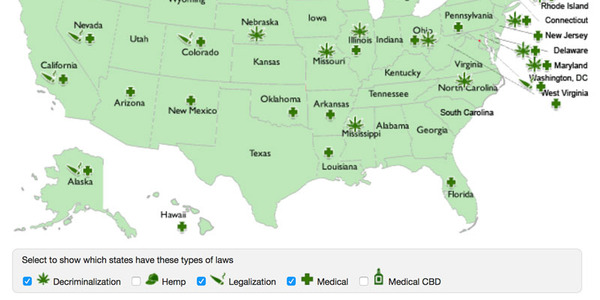 A new study by ATRI details issues and solutions related to marijuana-impaired driving, documenting the most promising methods to identify and deter drivers who may use the drug. 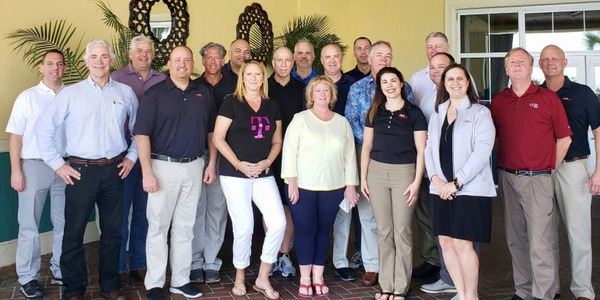 Fleet Response hosted its annual client advisory board meeting earlier this year, where the claims management service provider discussed its technology updates and service offerings with its fleet customers, according to the company. 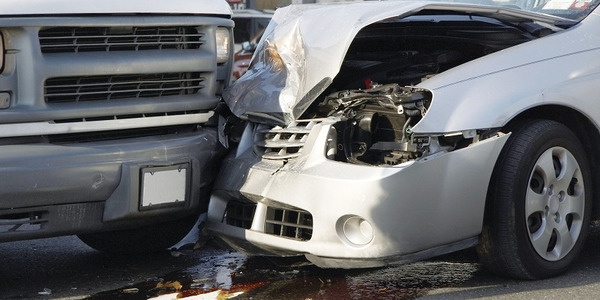 Accident management is one of the key services fleets use to help control costs. 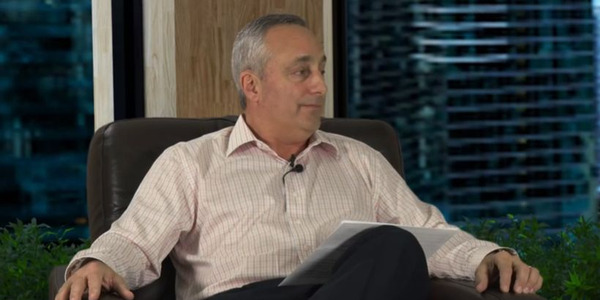 It wasn’t always the case; one of the pioneers of this service, Bob Martines, explains its origins, where it is today, and where it’s headed. A sudden tire blowout can happen anywhere, anytime. It can be a frustrating situation for a busy commercial driver on a schedule. More importantly, a tire blowout can pose a serious safety hazard.